Audits are very important part of any PDCA cycle. To proceed further, lets explain PDCA cycle. Plan, Do, Check, Act:- These are very important step of any type activity/project to be successful. Project may be related to engineering, management, social etc. Rightly said, “To cut a tree, 80% of time should be used for sharpening the axe & remaining 20% to hit at the trunk.” Indeed, Planning plays very important part for any activity. Implementing as per planning is equally important. Once, the system is in place, Check as per desired specification is important to find the gaps. Corrective action should be taken for filling the gaps. Routine Checks: These are the audits taken at scheduled intervals for monitoring the performance of an established systems. These can be internal & external. 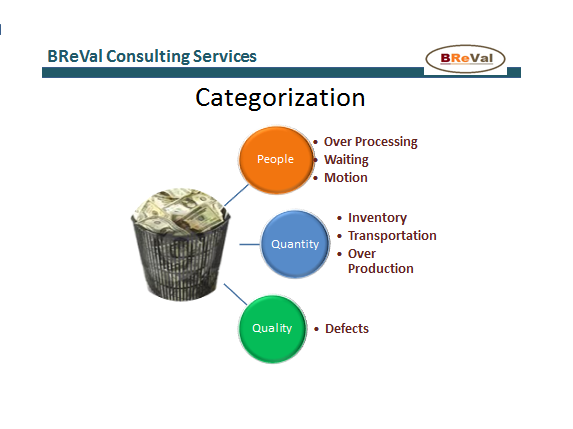 Internal audits are for monitoring own performance with established rules & procedures. External audits are to map our performance with national & international standards. Pre startup checks: These type of audits are taken up before commissioning of any project to find out gaps that may result in loss after start up of the equipment/machine etc. First party: These are done by internal resources. These may be done by same department or by cross functional teams. Person from shop floor, middle management, upper management, leadership level can be engaged depending on importance & criticality of system. Second Party: The team can be formed from different location of same company. This brings learning of different sites together. Third Party: Consultants can be hired to get best knowledge available in market. 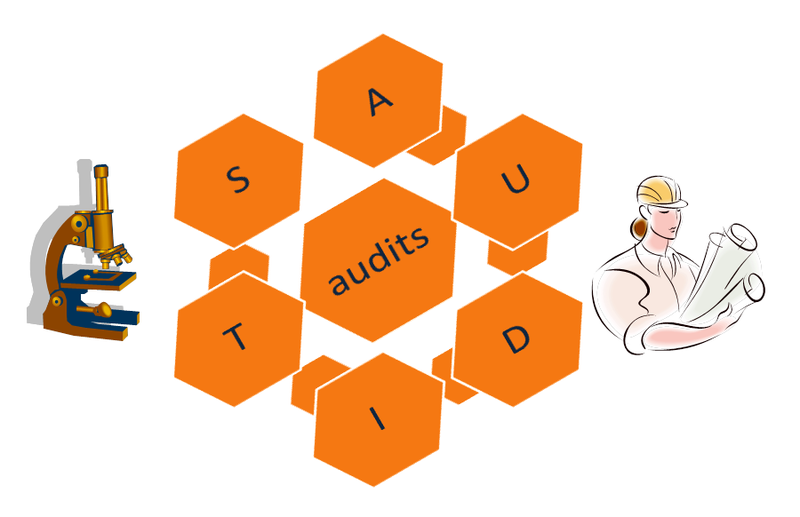 Audits helps in finding fault at right time & acting immediately, so that further consequences can be avoided. 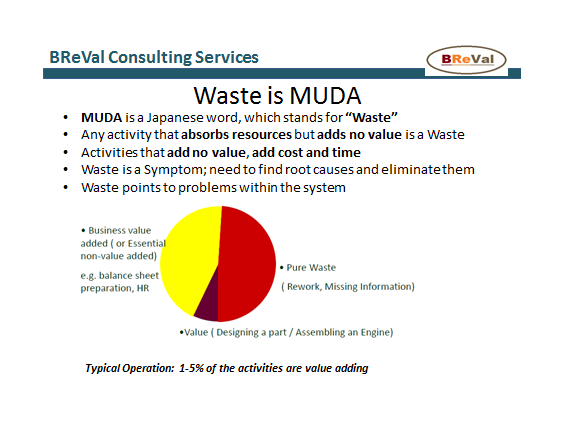 Eliminating wastes is very important part of lean Management. 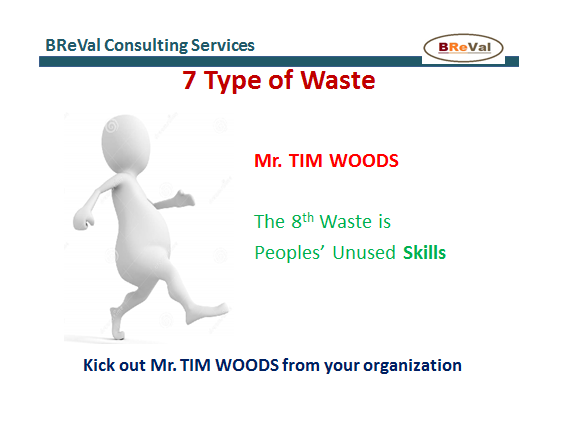 Kick out Mr. TIM WOODS from your organisations. Virtual Stream Mapping is tool that help in identifying the type of wastes in any system. 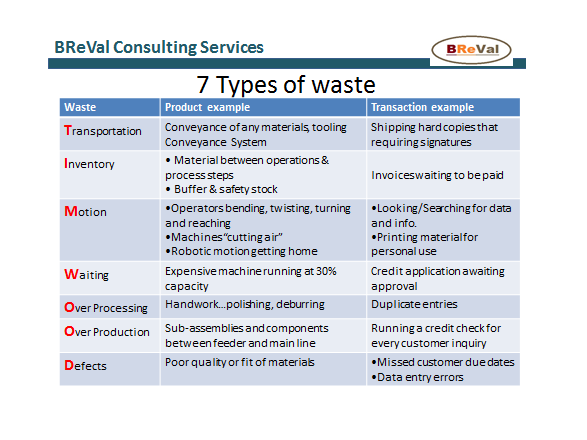 VSM also tells which waste to remove & how to remove. VSM is basically derived from customer requirements. The flow is traced back to inputs, thereby studying whole value chain. Virtual stream mapping is very important in growth of any organisation. Put a beautiful poster designed to identify waste Poster on MUDA at your work place.